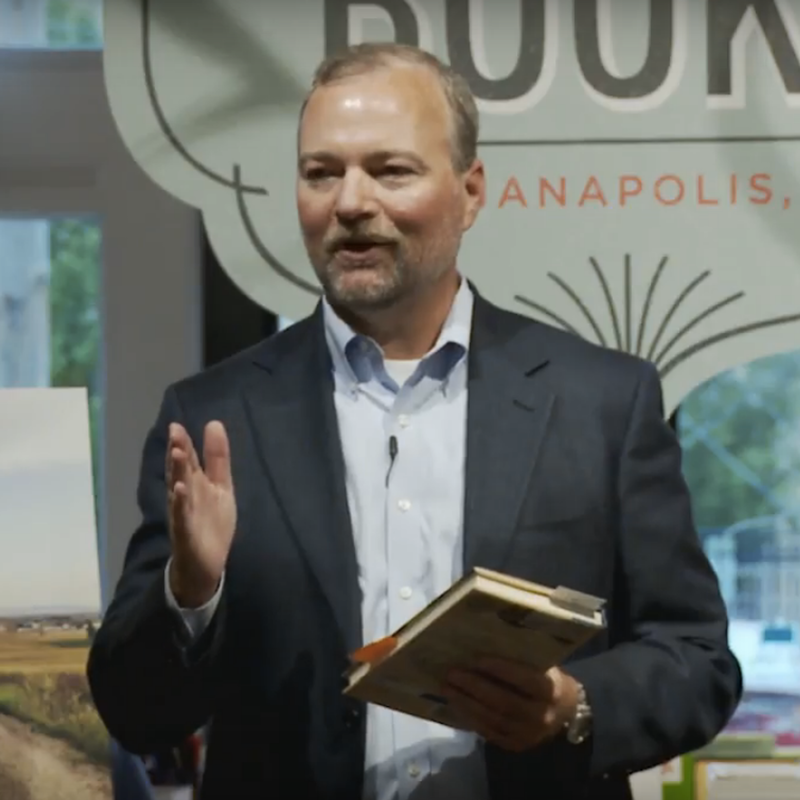 The tour for my book, The Camino Way: Lessons in Leadership from a Walk Across Spain (AMACOM, July 2017), went to Cincinnati this past month for a sold out event. The book store hosted Scott Kelly (astronaut), David Sedaris (author), and Denis Leary (actor/comedian) in the days immediately after #TheCaminoWayBook. See all the stops on the book tour here. 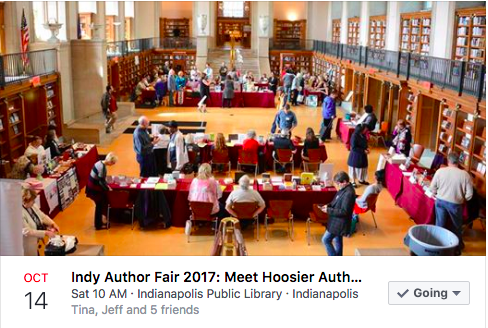 I was selected as one of 40 "up and coming Hoosier authors" to be featured at this year's Indy Author Fair. 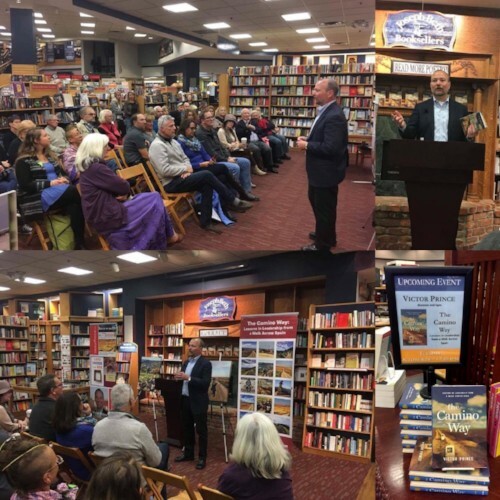 It was a great event with a theme of "Meet an author, Be an author." I was the last guest on the American Management Association's weekly Edgewise podcast series before it went on a well deserved break after 10 years. Their previous guests have included Dan Pink, Paul Krugman, Seth Godin, General Stanley McChrystal, John C. Maxwell, Clayton Christensen, Cass Sunstein, Marshall Goldsmith, Mayor Ed Koch, Philip Kotler, Scott (Dilbert) Adams, Wayne (Trapper John) Rogers, Rosabeth Moss Kanter, CK Prahalad, and others. Listen to my interview here. 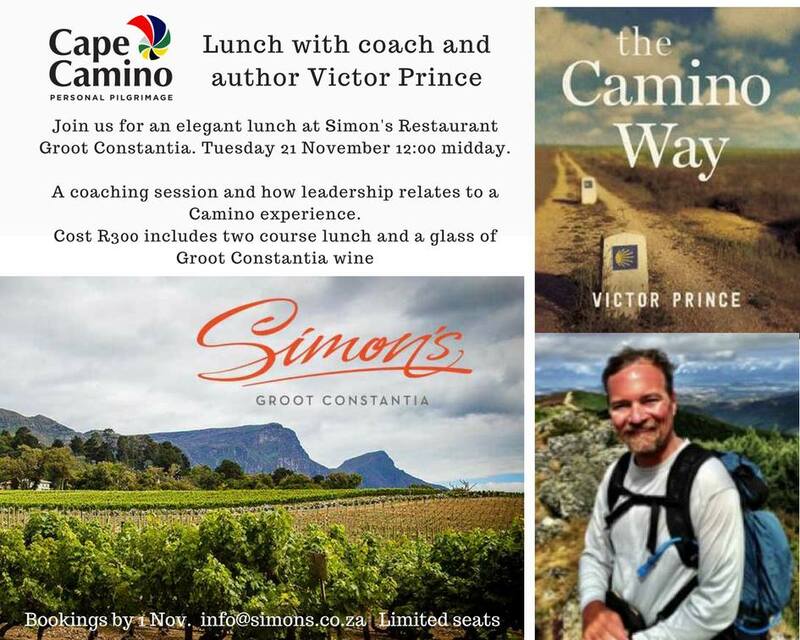 The book tour for The Camino Way is heading to South Africa next. We are doing several events, including a group walk along the Cape Camino hiking trail near Cape Town that has over 400 RSVPs in mid November. Learn more about the South Africa trip here. 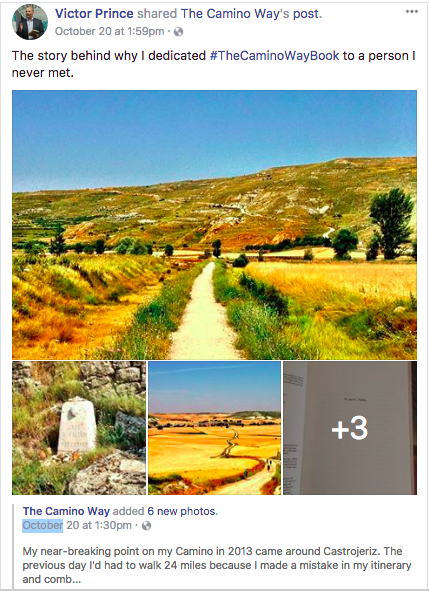 #TheCaminoWayBook post on Facebook this month was the first post to get over 2,000 "likes." See the post here. I posted several blogs on LinkedIn this month. 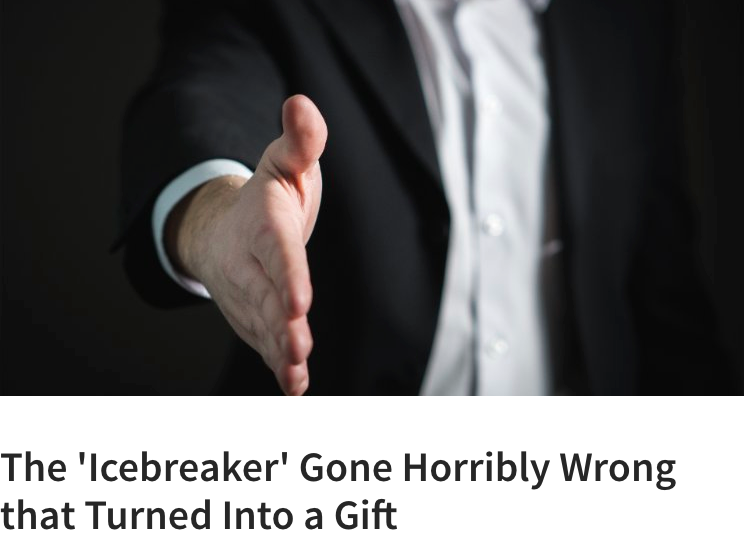 The one about the most awkward introduction to a boss I have ever had connected with many people. Another blog I posted this month looked at the leadership lessons from the fourteen men and one woman who have served as the chair of the board of the Federal Reserve in its 103 years.